Competitive trading is a very important part of trader's experience from the beginning. 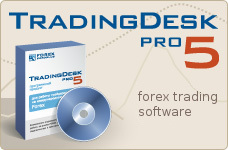 It gives you some knowledge of the most profitable trading strategies on FX market. Taking part in forex contest you can test any of your own high risk strategies without risking to lose real money. And if you are the most successful trader and can maintain the highest percentage within one trading week on Forex, you will be granted money you need to open a real account and make a real deal. Your main goal is to increase this capital as much as you can during a forex contest session. You can see your current trading position on the forex contest rating list at any time. To take part in forex competition a customer should register. The registration requires your real name, country you represent and your e-mail. You can do this when you launch your desktop Trading Desk client application or any Mobile Forex application where you have to type log-in name and password, mark the box "take part in competition" and push "submit form" button. After registration system will generate customers account number. Starting marginal capital ("beginning balance") for contest forex accounts is 10 000. The competition session starts at 00:00 GMT on Monday, and continues through the whole week till 7:00 PM GMT on Friday. Balance at the end of the contest will be "сurrent balance". The positions on the competition rating list are distributed according to the following principle: first position is occupied by a trader who showed a most profitable percentage in ratio between profit and current balances. Naturally, all other contest accounts are listed according to their profitability ratio. When the competition session is finished, all records of the winner's trading activities will be published on our archive list of winners. He or she, then, should open a real trading account where we will transfer the competition bonus. Competition bonus for 1 position is $100. Customer can use the 1 position bonus in real trading or withdraw it. Competition bonus for 2 position is $65. Customer can use the 2 position bonus in real trading only as margin funds or for swaps and commissions. Competition bonus for 3 position is $35. Customer can use the 3 position bonus in real trading only as margin funds or for swaps and commissions. All others, who were not as successful, can take part in a new session and try once again to be the first. In this case customers can use current registered competitive accounts, without opening a new one. But if customer doesn’t make any deal during the whole session, his account will be automatically deleted from rating list for the next competition. Customers with competitive accounts will not be able to increase or decrease their beginning balance (with "deposit" or "withdraw" functions) with which they plan to start a new session. Customer can have several contest accounts but use only one account during the forex contest and have to make at least 50% profit of the beginning balance. Otherwise customer will be disqualified. Contest post disqualification moderators will inspect contest leaders for double contest accounts by email, IP-intersection, system device information etc on Monday after the end of the contest. Leaders suspected for double contest accounts will be disqualified. In case of disqualification no claim admitted. In the case of disqualification the bonus will be transmitted to next position of competition's rating.